The dynamic masterclass will progress through a strong standing sequence and on to playing with more challenging poses including some arm balances and backbends before the cool down segment. Variations and modifications will be given for varying levels, but this masterclass is not suitable for beginners. John will include short pranayama and meditation practices while also weaving in some of his philosophic insights on the yamas and nyamas, offering practical advice for seeking a more authentic and rewarding lifestyle. 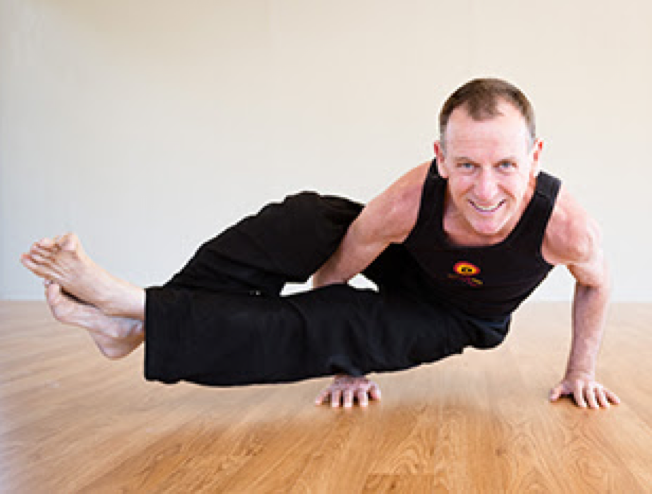 John developed Purna Yoga over 30 years, creating a style of classical alignment focused hatha yoga with intelligent sequencing, influenced by his experience of both Ashtanga and Iyengar. Purna, meaning integrated or complete, represents the holistic approach to yoga taught at Byron Yoga Centre – integrating the physical postures with philosophy, meditation and pranayama. This is the accessible and comprehensive style that is taught on Byron Yoga Centre teacher training courses.